Model L-32 consists of an anterior thoracic and pelvic assembly, each of which is attached to serrated discs on the superior and interior margins of the lateral uprights. The lateral uprights are padded and adjustable in length. A posterior thoacolumbar pad is attached to the lateral upright by our Dot Fastener closure system. 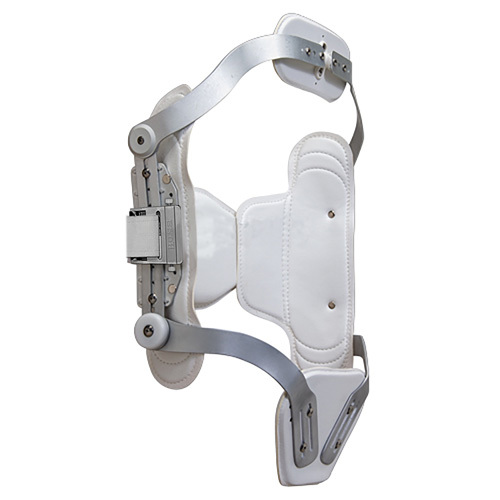 The L-32 comes complete with a swivel sternal pad, and an articulating pelvic bar to reduce pressure on the bladder.